Whip up delicious goodies in minutes! Whip up delicious goodies for that snack attack in minutes by making your own hot pretzels! 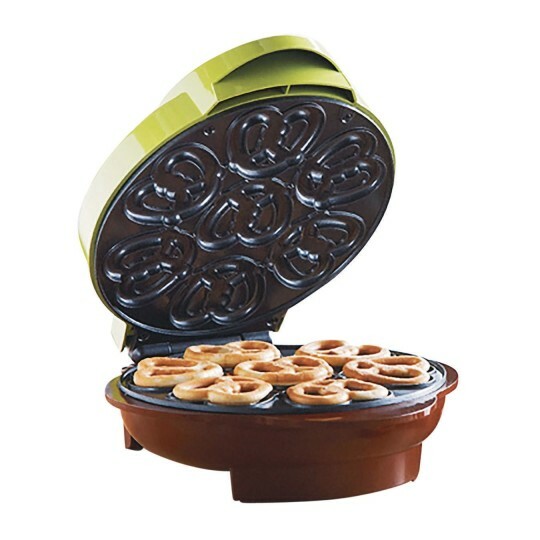 This 750-watt Mini Pretzel Maker has a nonstick coating to make it easier to remove the pretzels. Features a preheat and power indicator light plus a convenient cord wrap. Makes seven mini pretzels at a time. Yum! Approximately 8-3/4” x 9-3/4” x 4-1/2”.